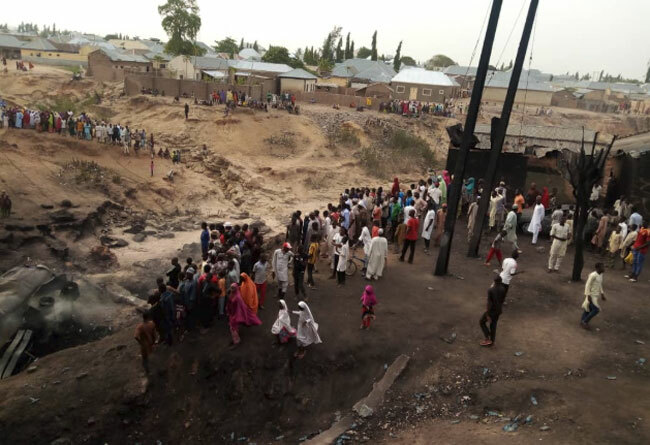 No fewer than 11 people have been confirmed dead, with several others injured after a tanker exploded along the Gombe Biu bypass. 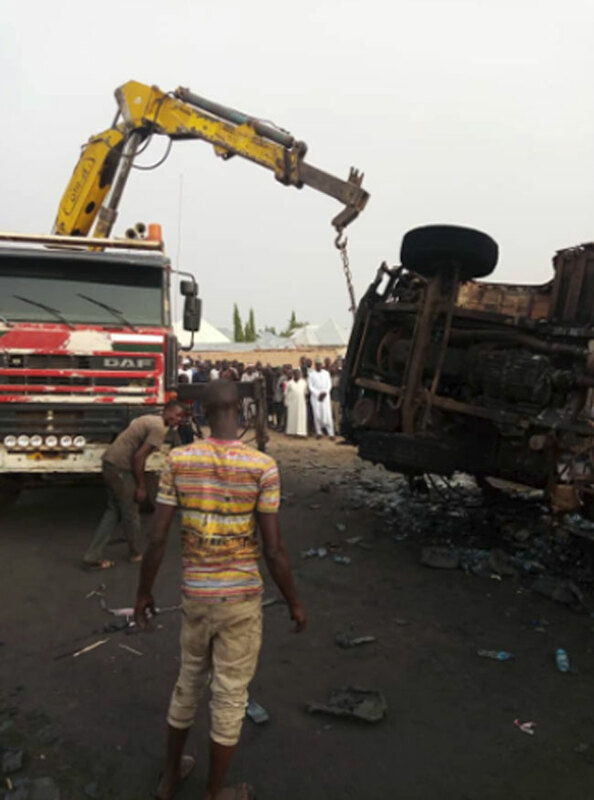 The Head of the Accident and Emergency Unit of the State specialist hospital in Gombe confirmed this on grounds of anonymity. 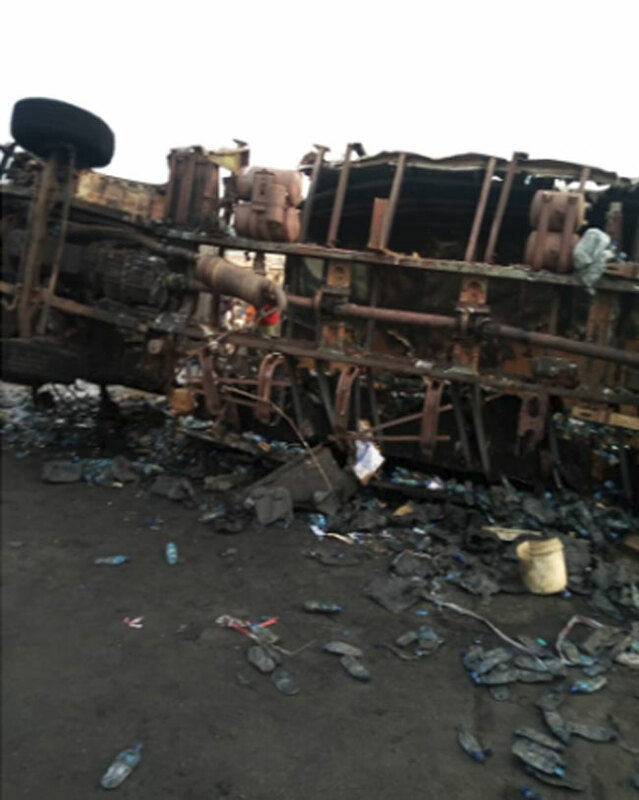 Channels Television gathered that four persons in critical conditions are currently admitted at the hospital while 10 others who had mild injuries have received medical attention and have been discharged. 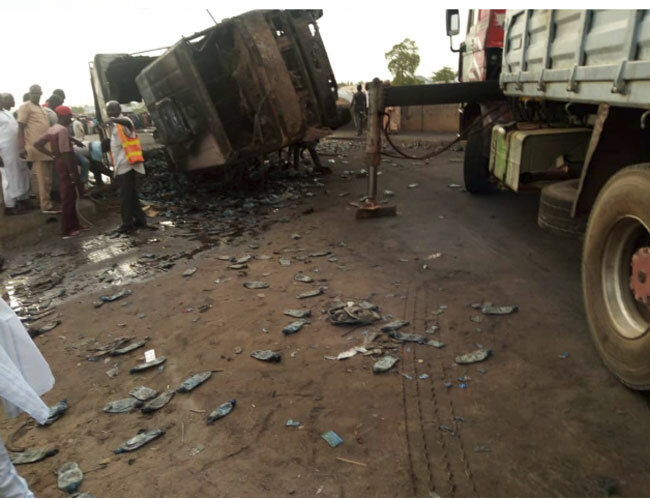 According to witnesses, the accident occurred when a fully loaded petrol tanker seemed to have had a brake failure and rammed into a truck loaded with battle water crushing two motorcycles and two tricycles. 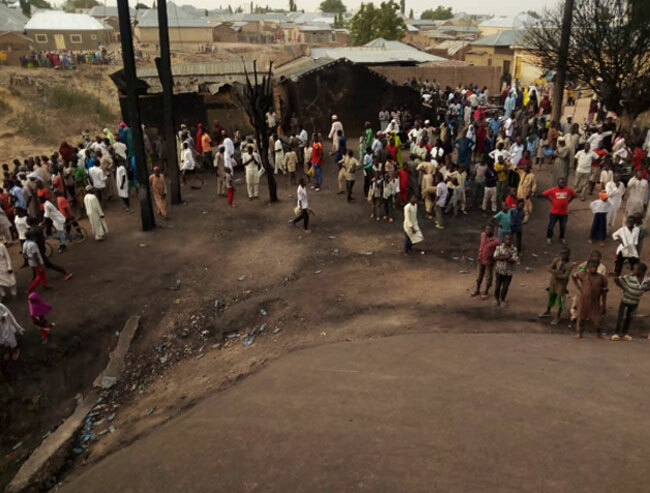 Some of the victims were reportedly burnt beyond recognition. As at the time of filing this report, concerned authorities were yet to make a formal statement on the incident. Below are some photos from the scene of the accident.